Ace Cafe You Tube Video Clips! 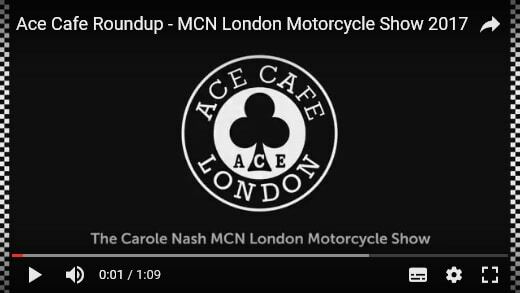 Check out the Ace interviews at the 2017 Carole Nash MCN London Motorcycle show, to include with amongst others TT race legend John McGuinness, Steve Parrish and James “The Rocket” Rispoli, to features and news from Triumph, Harley, Segoni and Brough Superior. Click here and check out the Ace Cafe London YouTube Channel!